The brain is the most important organ in the human body. Whether a person is sleeping or working, the brain is always active. Confused? The brainstem, an important part of the brain controls sleep, heartbeat, pain, etc. A person who’s brainstem isn’t working is declared brain dead by neurosurgeons. The cerebral hemispheres control your motion and your ability to read, write, etc. Cerebellum, yet another important part of the brain receives signals from various parts of the brain and controls the activity of a person. Sleeping relaxes and reduces the activity of the tired brain. It also eases various muscles of our body and comforts the tired eyes. If you don’t sleep for enough hours, you’ll suffer from headaches. Your eyes will be tired and you won’t be able to concentrate on work. Because of depression or excess workload, a person may not get the much-needed sleep. Parents ask their children to count goats when they complain of sleeplessness. Frankly speaking, counting goats has become an obsolete technique. BTW, who will count goats in the age of the smartphone? Adults won’t count goats. They’ll keep themselves busy on social networks or watch videos on YouTube. If you watch videos, your brain will be active. If you don’t take a break while watching clips, your eyes will hurt. To get sleep, you must avoid late-night messaging or use one of the following sleeping apps. 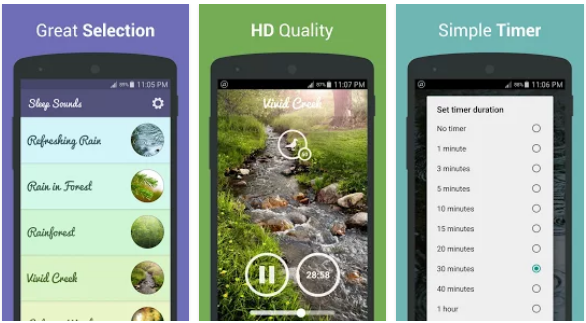 Sleep Sounds is a popular app on the Play Store. It tries to make a person asleep by playing the soothing sounds of nature. It saves the audio files of rain, blowing wind, snowfall on the phone’s storage memory and displays their name in a list. As the files are saved locally, users don’t have to enable data connection on their phone to use the app. Users must tap the sound effect they want to listen. SS lets users add various effects to the sound. For instance, you can add thunderstorm effect to the sound of rain. 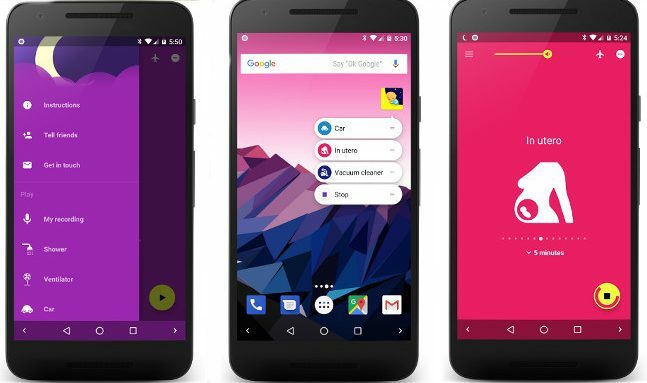 The app enables you to set the sound playback duration. It can play the same sound file continuously for up to 8 hours. The great thing about this app is that it keeps playing the soothing sound of nature when the phone is in a locked state. 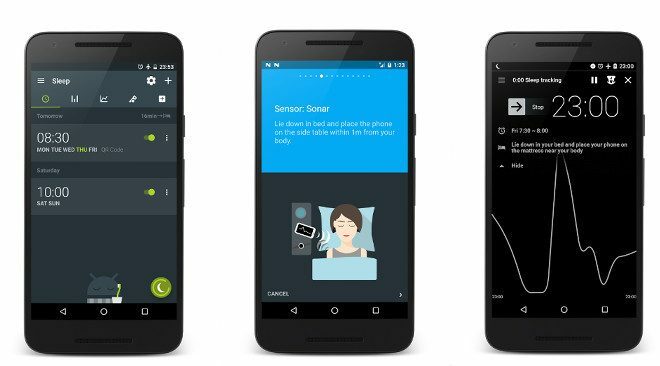 Sleep as Android is a powerful sleep tracker app for mobile devices. 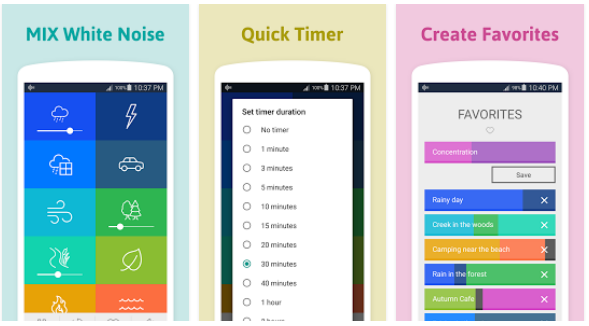 Apart from tracking your sleep, the app helps you sleep better by playing nerve calming music. Snoring doesn’t have an ill effect on the health, but it can be deadly for people suffering from Obstructive Sleep Apnea. To make sure that your windpipe doesn’t get choked while you’re asleep, the app plays a sound when you’re snorting. The SAA app features a “Lucid Dreaming” function that prevents panic attacks during the sleep. It identifies the abnormal behavior of an asleep person and plays a tone. SAA includes an alarm function that can wake you up from a deep sleep. It will play a tone repeatedly until you turn off the alarm. This application allows users to see graphs of the data it has recorded. Sometimes the kids may not sleep even if they’re tired or sleepy. BSI is a free application that will make your toddler fall asleep quickly. The app plays the low-frequency sound of a train engine, vacuum cleaner, dryer, shower, washing machine, etc. Don’t worry! The sound will not scare your baby. According to the app developer, the app is effective and they’ve tested the Baby Sounds Instant app thoroughly before publishing it on the Play Store. The BS Instant app has an option to enable the Do Not Disturb and Airplane mode. When the phone is in airplane mode, it won’t connect to the cellular network. The DND mode will prevent the phone from ringing. Use the BSI app only if your kid is in a good state of health. If your baby is crying, he/she might be hungry. If your kid isn’t hungry, he/she might be in pain. Visit a nearby pediatrician to get the baby checked up. WNG is an app that allows users to mix two or more white noises. It features 16 unique refreshing tones. It can play all tones simultaneously. You can adjust the volume of each tone in this app. The WNG app allows you to set the duration for which it should play the sound. Its default interface language is English. You can change the language to Spanish, French, Italian, etc by tapping the favorites option. Sleeping Delivery is a comic style simulation game with relaxing background music and interesting missions. To get started with this game, users must select one of 5 characters. The game features male as well as female characters. 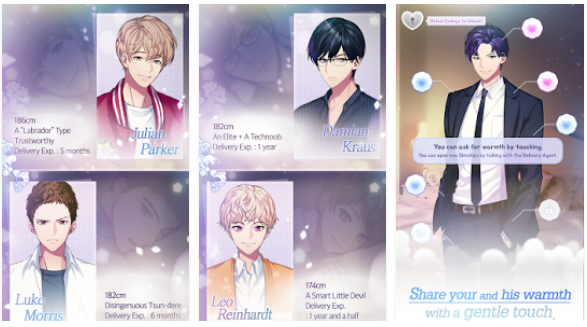 Once you select the character, the Sleeping Delivery game will download some files from the web. When the required files are downloaded, the character will begin narrating the story and objectives. SD lets users pause and resume the game. It has nice graphics. 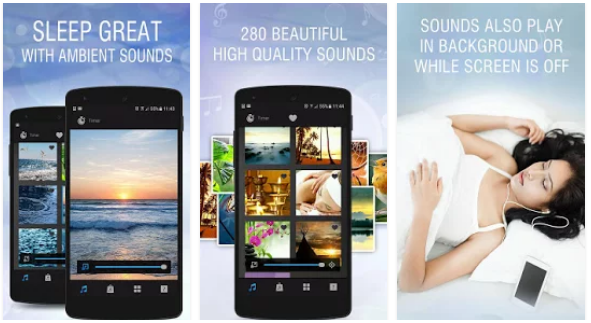 The Sleep Pillow app features 100+ high definition sounds of water, animals, birds, winds, household appliances, vehicles, musical instruments, etc. It also includes 3 unique binaural beats of various frequencies. The application doesn’t allow users to play 1+ tone at a time, but it does have the option to mix different tones. It ships with a sleep timer utility and it includes in-app purchases. The sleeping apps mentioned above are effective and reliable. If you’re an insomniac, try them out.